Cam writes music to tell the truth, especially truths that help women understand themselves. The proof of Cam’s eccentric candor is supported in the brazen, bold song, “Diane,” the first release off her forthcoming sophomore release. Never one to shy away from hard conversations and topics, the CMA Awards-nominated artist brings to focus the realities of cheating in the driving, tempo-rich song, offering a redemptive opportunity that unites women rather than pit them against each other. And “Diane” made quite an impact, holding a multi-week residency on Spotify’s Viral 50 USA chart, breaking into the Top 15 on the iTunes U.S. Country chart and peaking at No. 1 on the iTunes U.K. Country chart. In addition to performing the song on multiple American television shows, “Diane” was expedited on BBC Radio 2’s A-List in the U.K. and has topped multiple best-of lists including Best Songs (all-genre) of 2017 by NPR, No. 3 on the 25 Best Country Songs of 2017 by Rolling Stone Country and No. 2 on the Top 10 Country Songs of 2018 by Taste Of Country. The momentum continues to build since the release of Cam’s 2015 breakout debut album Untamed, which landed at No. 2 on Billboard’s Top Country Albums chart with the year’s best first-week album sales by a debut Country artist. Untamed features Cam’s first No. 1 Country single, “Burning House,” which garnered multiple CMA, Grammy, ACM, CMT and American Music Awards nominations and remains the highest-selling single by a female Country artist since 2015. Along with working on new music, Cam co-wrote the song, “Palace” off Sam Smith’s latest album, The Thrill of It All. The song has Cam contributing background vocals and electric guitar to the track and was featured in the 2017 Holiday commercial for Apple. This spring, Cam joined Smith on stage for “Palace” during all four nights of his sold-out shows at London’s O2 Arena and went on to open for the international superstar on the North American summer leg of his The Thrill of It All Tour. Smith is among the impressive list of artists that Cam has shared the stage with in the last couple years. Others include a personal invite from Harry Styles at Nashville’s famed Ryman Auditorium, Tim McGraw and Faith Hill on their blockbuster Soul2Soul Tour, George Strait during his 2017 residency at the T-Mobile Arena in Las Vegas, Eric Church, Alicia Keys, Smokey Robinson and others. Read more at CamCountry.com. Ross Copperman was born in Roanoke, Virginia with a passion to create songs. 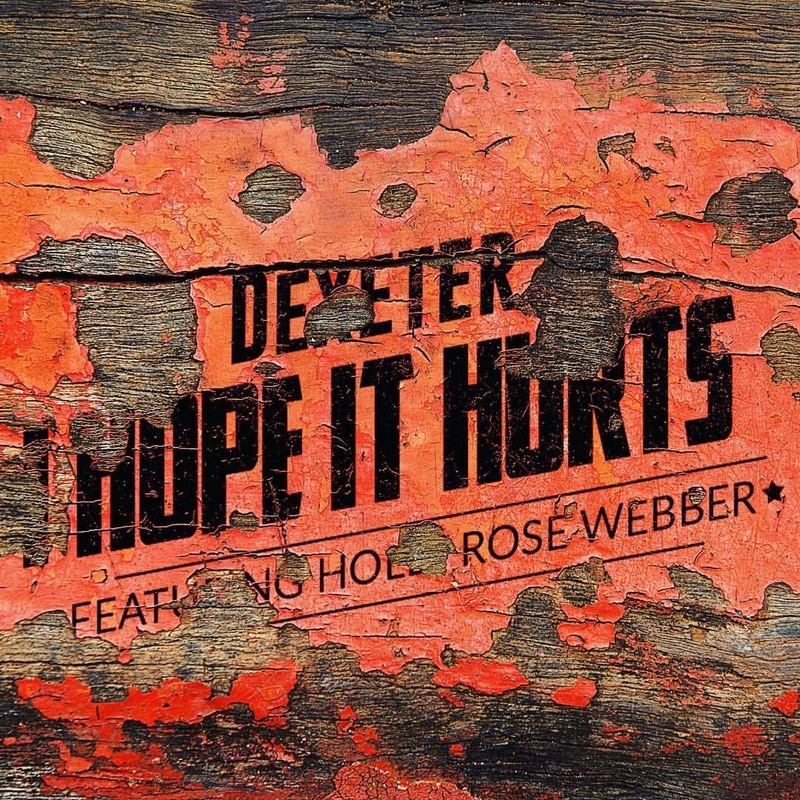 Following his dream, Copperman signed a record deal with Sony Records in the U.K. Despite the success of his debut single, he moved to Nashville to focus on songwriting and production. Copperman has written upwards of 16 No. 1 singles—from Dierks Bentley’s “I Hold On,” “Drunk On A Plane,” and “Black” to Brett Eldredge’s “Beat of the Music” and “Wanna Be That Song”—revolutionizing the sound of Nashville’s Country Music. 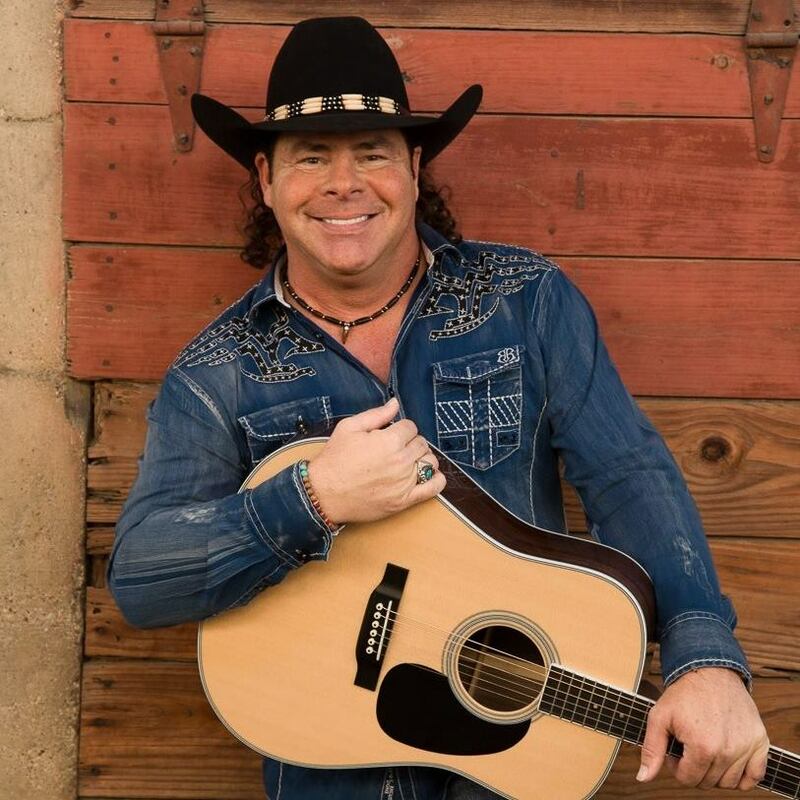 He has produced and written songs for a wide range of Country artists including Jason Aldean, Luke Bryan, Kenny Chesney, Billy Currington, Eli Young Band, Florida Georgia Line, Little Big Town, Justin Moore, Kip Moore, Jake Owen, Chase Rice, Darius Rucker, Blake Shelton, Thompson Square, and Keith Urban. 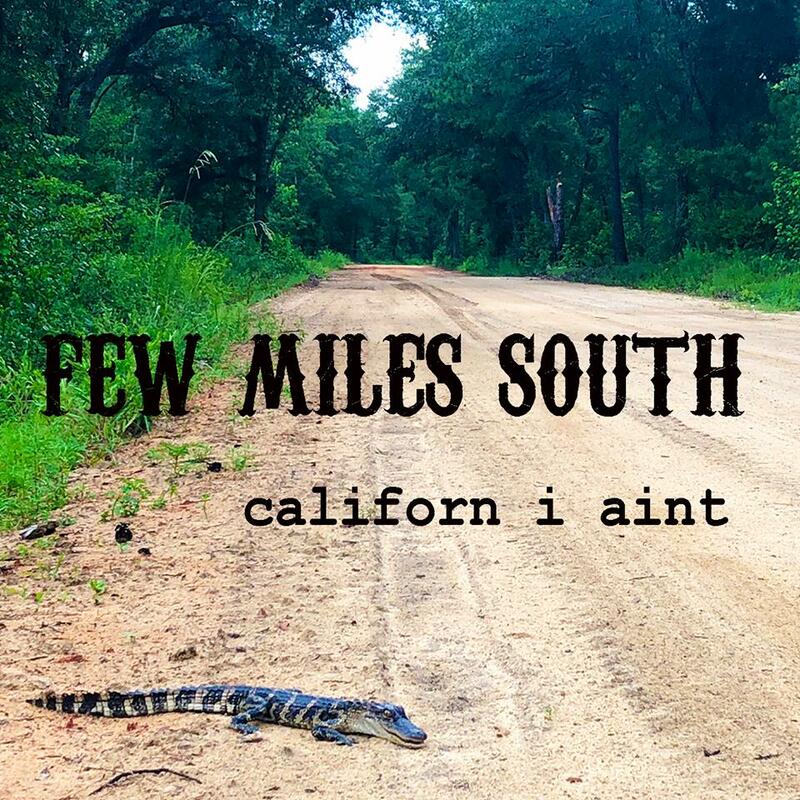 Copperman is a six-time CMA Awards nominee, having received two nominations this year in the Album of the Year category for his work on both Bentley’s The Mountain and Urban’s Graffiti U. He’s a two-time BMI Songwriter of the Year (2016 and 2017) and winner of five CMA Triple Play Awards, CMA’s honor for songwriters who have penned three No. 1 songs in a 12-month period. Copperman continues to ascend Billboard Country charts by the week, co-writing Bentley’s “Woman, Amen,” Kenny Chesney’s “Get Along,” Justin Moore’s “Kinda Don’t Care” and Chase Rice’s “Three Chords & the Truth.” He currently writes for Sony/ATV Music Publishing. A native of Warner Robins, Georgia, Mercury Nashville’s Travis Denning vividly remembers the moment he realized he wanted to pursue music for a living. He was seven years old sitting in his Dad’s truck and heard AC/DC for the first time. 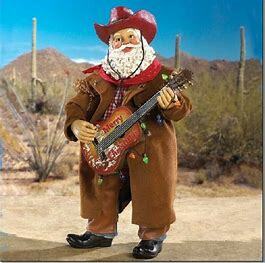 From then on, he was hooked and devoured all types of music from Country, pop, rock and heavy metal. 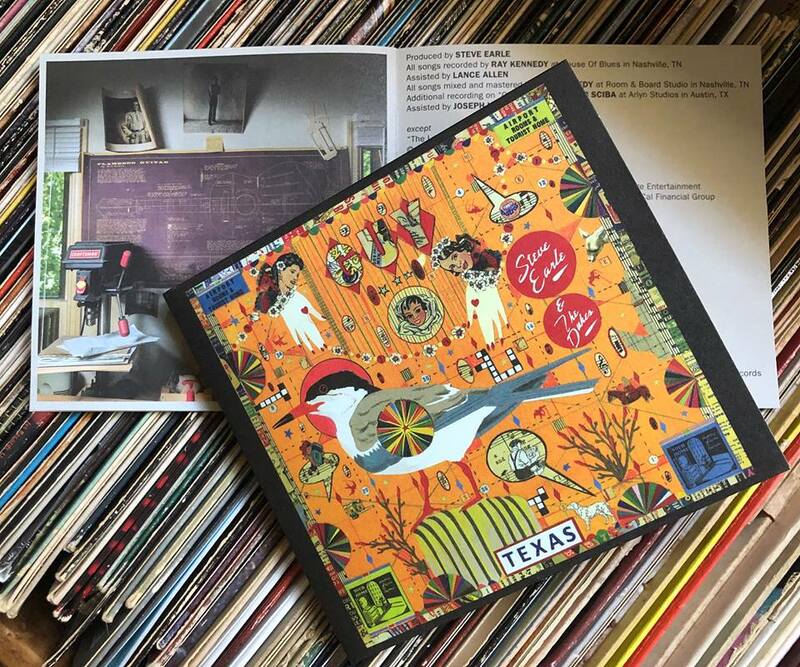 Denning started playing local bars at the age of 16 and built a solid following from his distinctive songs and raucous guitar licks. He moved to Nashville in 2014 and within a year signed a publishing deal with Jeremy Stover’s RED Creative Group. After securing outside cuts by Jason Aldean, Justin Moore, Michael Ray and Chase Rice he caught the attention of Universal Music Group where he eventually signed a record deal in 2017. Denning just released his debut single “David Ashley Parker From Powder Springs,” an upbeat coming-of-age song that paints a picture of a young man reminiscing on his carefree college memories. 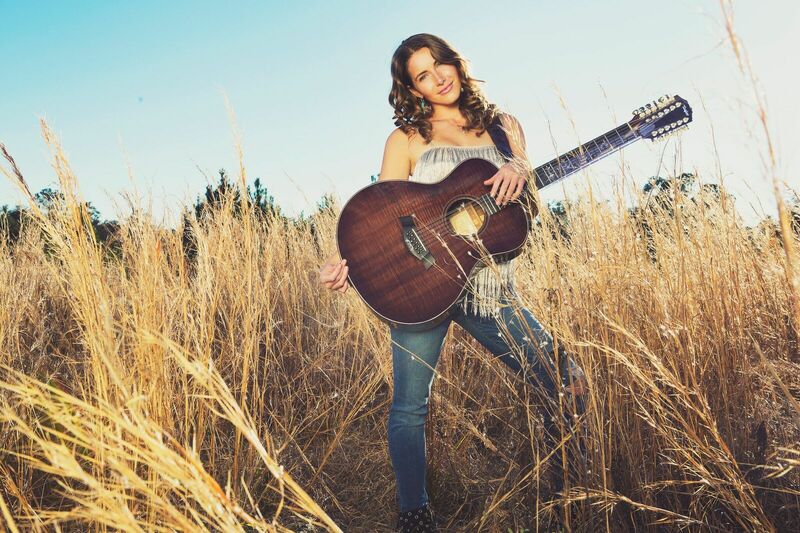 The singer/songwriter has previously opened shows for Alan Jackson, Moore, Rice and Cole Swindell and is currently on the road with LANCO on the Hallelujah Nights Tour. When he is not touring, he is in the studio working on his debut album. Denning was recently named one of three recipients of the first-ever CMA KixStart Artist Scholarship, which provides educational and professional support to rising artists throughout the course of a year. Read more at TravisDenning.com. 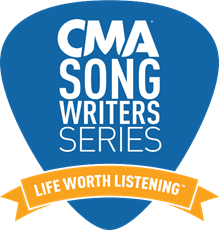 Jimmie Allen will perform at the CMA Songwriters Series at The Indigo at The O2 in London March 7, 2019 during C2C: Country to Country festival. 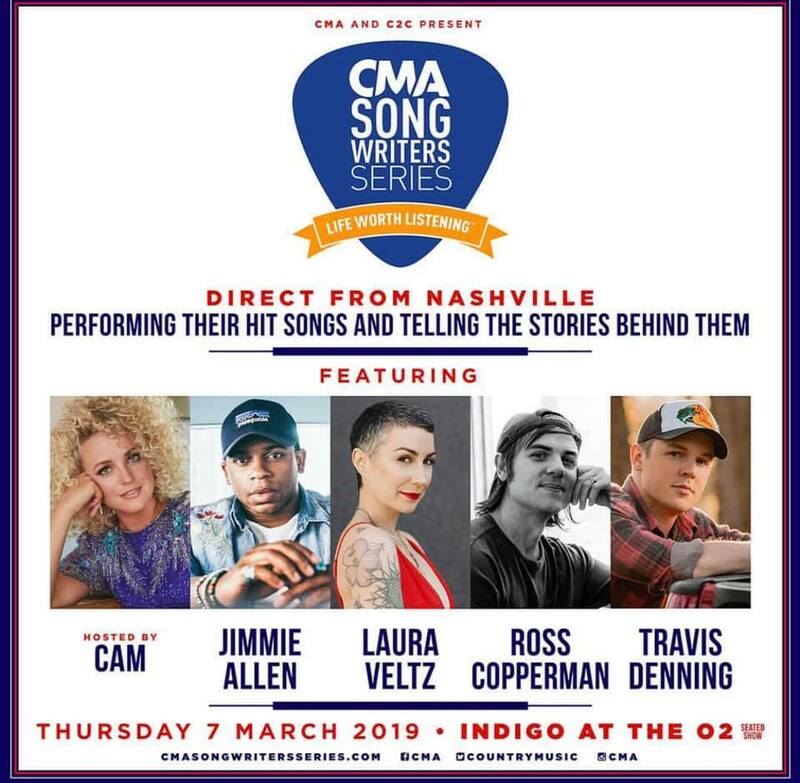 Cam will perform at the CMA Songwriters Series at The Indigo at The O2 in London March 7, 2019 during C2C: Country to Country festival. Ross Copperman will perform at the CMA Songwriters Series at The Indigo at The O2 in London March 7, 2019 during C2C: Country to Country festival. Travis Denning will make his U.K. debut at the CMA Songwriters Series at The Indigo at The O2 in London March 7, 2019 during C2C: Country to Country festival. Laura Veltz will make her U.K. debut at the CMA Songwriters Series at The Indigo at The O2 in London March 7, 2019 during C2C: Country to Country festival.